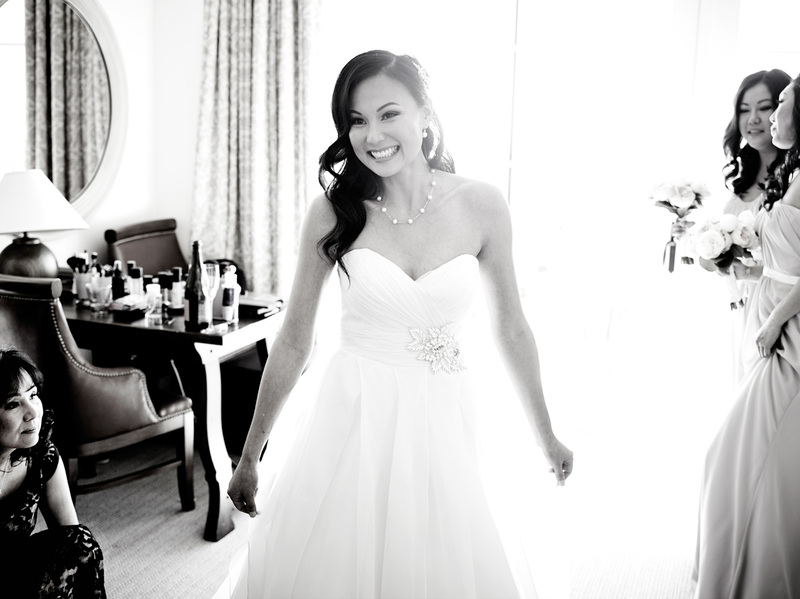 Jeanie prepares for wedding at Terranea Resort in Rancho Palos Verdes. Bride shows off her wedding dress. Wedding photographer in Los Angeles and surrounding areas.